Woo! Start of a new week in a new month and it's the return of the 52 Week Pick N Mix Challenge, which had been incorporated into the 31 Day Challenge throughout January... This week it's Pale Blue & Flowers and it'll also soon be Valentine's Day so seemed an ideal time to try out some Born Pretty Store water transfers I've had a while now, in pale blue with red roses! I started with two coats of pale blue for my base. I then covered the index, middle and ring fingers with the nail transfer; using only a strip of the trnasfer down the centres of the pinky and thumb. Finished off with a quick lick of topcoat. This was a super quick mani and I really like the stripe, I almost wish I'd done that on every nail now hahaha! 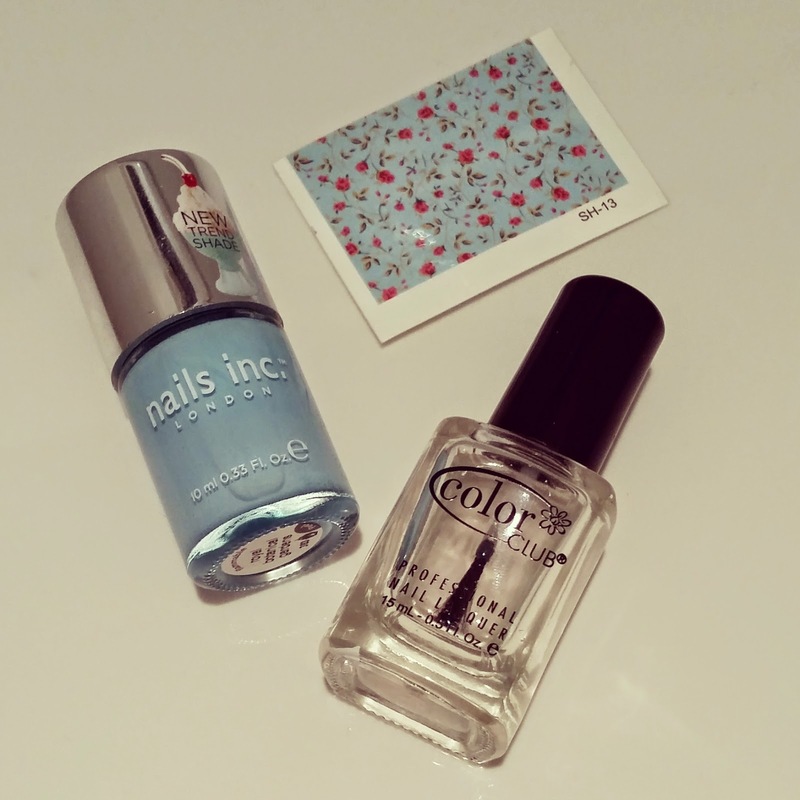 The Nails Inc blue almost perfectly matches the Cath Kidston-ish transfer too which was awesome. Think I need to order me some more of these BPS pretties soon, my stash is getting a little thin! 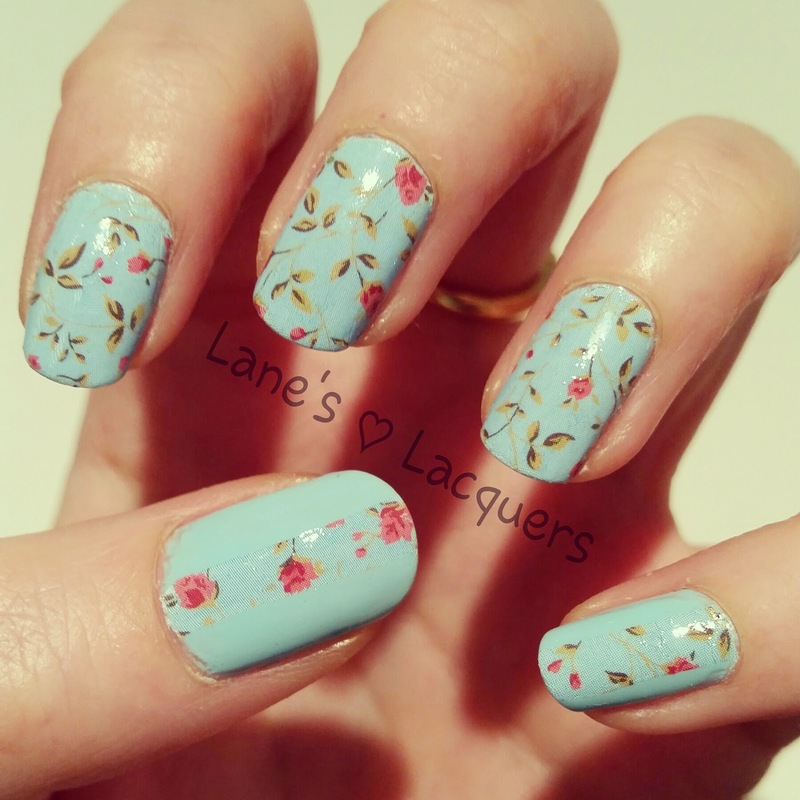 Check back tomorrow for a look at some OMG Nail Strips! 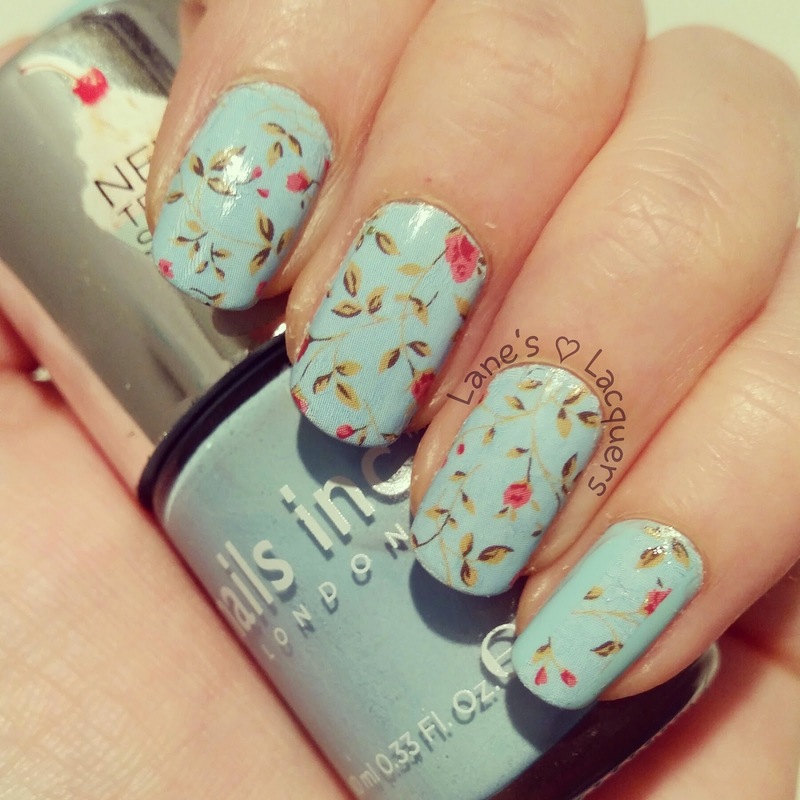 I love how delicate and springlike this is! Thanks lovely, me too! Makes me feel all "somewhere over the rainbow" haha!